You may have word of mouth already occurring. That’s great! But, you can do more. Here are 6 steps that can help put your word of mouth into overdrive. How referable are you? Do you get referrals without having to ask? If not, there are a few steps you can do to increase your word of mouth marketing and be more referable. That sounds great and all, but is word of mouth really measurable? Is there success criteria in word of mouth advertising and marketing? Yes, and yes. The simplest measure is to notice you are getting referrals without having to ask. You may realize that there are certain things you do that have led customers to share you with their friends. You might notice that just by having a good attitude and a little knowledge about what you’re selling can work in your favor. You may have also noticed that putting in a little elbow grease has provided you with a few good online reviews, which have also boosted your referrals. Before you can begin diving too far into word of mouth marketing, you have to set yourself up. Meaning, you need to create a foundation so that word of mouth can occur. Here are a few tips on creating a sturdy foundation. Are you ready to hear the dirtiest secret about womm? The biggest and the best thing you should focus on is your customer service! In fact, without good customer service, your business might suffer. If you’re not doing well, you can guarantee that no one will want to refer you. Or the word of mouth you will get, won’t be the kind that helps bring in new customers. You see, word of mouth relies on more than just a good product. Word of mouth marketing flourishes when the quality on all fronts of your business flourish. Meaning, your product alone isn’t going to cut it. Why? Because people are looking for a whole experience. Don’t believe it? You should, there are plenty of referral statistics that prove it. Customer service matters because of social currency (aka a consumer’s willingness to share). You see, if you want people to spend their social currency on you, you have to give them a good reason to do so. When your great product, and unbeatable customer service pair up, people feel much more comfortable spending their social currency on you. Take Trader Joe’s, for example. There is a story floating around that an 89-year-old man was snowed in during a winter storm in Pennsylvania. The man’s daughter was worried that her elderly father wouldn’t have enough food to hold out in the storm. So, she began calling around to see if any grocery stores would deliver some food to her father. After no luck, she finally called Trader Joes and got a hold of a customer service representative. They too said they don’t deliver, usually… But, they would help this woman and her father out. Not only did they go out of their way to help in this situation, they delivered it for free, and provided a ton of extra goodies! 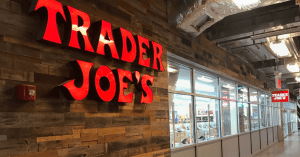 As you can imagine, this small act of ‘doing the right thing’ has brought a lot of good publicity to Trader Joes. Because of this above and beyond customer service, they have probably turned that man and his daughter into loyal customers. At the very least, they have paved the way for some good word of mouth. To be referable you need to give customers the full experience. Meaning, make it easy and be open for communication. Along with having a product people want. Tweet this tip! Even in this digital age, where everything is easy to share, you still have to ‘work’ on being referable. 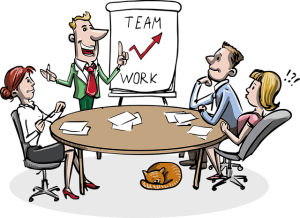 What helps is to make marketing a team sport. Remember everything is marketing, and when your whole team is involved, it’s much easier to promote your best self. If you think about it, every customer touch point involves marketing. A great way to build up your brand is to experience it with your front line. Better understanding the customer’s perspective and expectations can give you great insight into your brand, and it will allow you to modify accordingly. Just as importantly, it will also allow you to understand the problems your employees and staff experience. To kick things into high gear, remember that your brand and culture come down from the qualities of the founder. So if the leaders of the business aren’t portraying what’s important from the top down, the whole ecosystem could crumble. But, if the brand values are funneled down, the overall experience, for everyone, should be better. This one is obvious, especially after reading the first two tips. But, communication will allow you to provide excellent customer service and it will help you truly make all your marketing efforts a team sport. People want you to be responsive. They want their questions answered and they want to know that you’re evolving with their needs. But, they aren’t looking for mechanical, or canned answers either. They’re looking for conversational and personalized encounters. Which may seem counterintuitive in this age of social media and the internet. But, there are ways to personalize today’s preferred modern communication. Tools like Drift, Zendesk, and Intercom can allow you to respond to customer inquiries, in real-time, right from your app or website. In fact, a study by Zendesk, revealed 92% of customers feel satisfied when they use the live chat feature. Compared to other communication options like voice (88%), email (85), web form (85%), and social media (Facebook 84%, Twitter 77%). 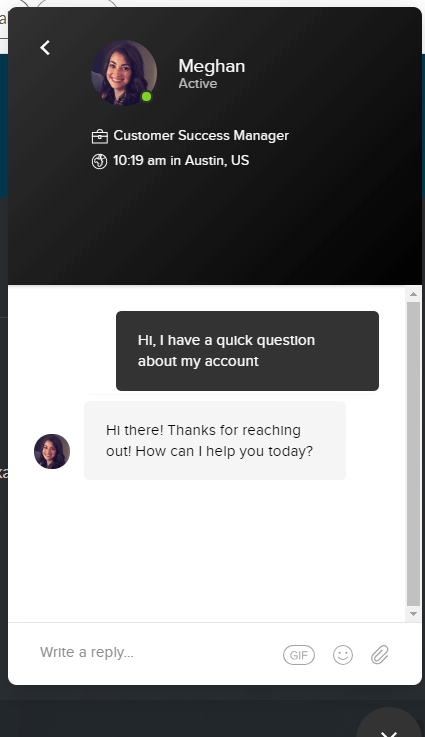 Meaning live-chat tools are the perfect way for you to increase your communication channels and be convenient for customers. This is especially important because customer expectations are higher than ever. The easiest way to create a word of mouth channel is to use social media platforms. Twitter and Facebook, are great for connecting you to customers. They allow the customer to easily and conveniently talk with you as well as share you. An added bonus of have your business on social media, is that your customers already flock there. So by being where your customers are, you’re making it even easier for word of mouth to occur. And, if you’re communicating and sharing resources, jokes, updates, etc. often with your customers, you’re making yourself referable. People refer who/what they like. So point blank…make yourself referable. We wrote an article on how effective does social media drive word of mouth marketing if you want to read more about it. Understanding a little bit about your customers and their referrals can help you figure out why they buy in the first place. The basics you’ll probably look at could be the cost of your product, the quality of your product, or even your customer service over your competitors. But it’s not just about your primary table stakes or the minimum requirements/features you need to beat out your competition. Primary information like price and product are important, but customers research your reviews and rely on recommendations too. So, it’s important to ask for feedback when and where you can. Getting feedback from your customers can provide you with insight into what you should and shouldn’t be doing. It also provides you with literature of what your customers are seeking too. This dialog will help you understand why customers buy, and it will create a foundation of trust for others, like referrals, to become customers. What can you do to make people spend their social currency? This is the question you need to have in mind if you want word of mouth to occur. By designing your referral program with the user in mind, it’s pretty easy to get open channels of communication going on. But what design elements are needed to further encourage this to occur? 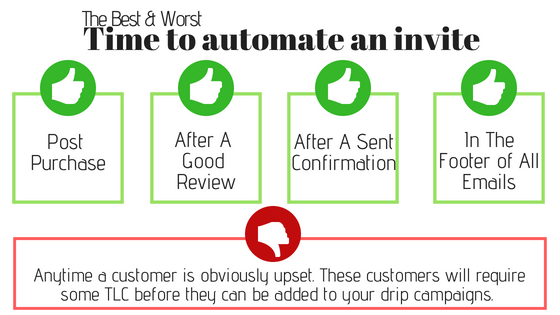 The easier you make it for customers to refer you, the more likely they will. By providing them with templated messages, you’re increasing your word of mouth potential. What’s this mean? Well, you simply create the message your customers will share with their friends. This can include imagery (which we recommend) and a brief description of what your business is all about. You can even allow your customers the chance to customize the message. In fact, programs that don’t provide prefilled messaging often find that customers aren’t sharing. Customers may like you and may share you, but if they have to do too much they’ll often abort ship and move on. For instance, Zipcar does the talking for the customer and uses the voice of the customer in this Facebook post. You may notice that the reward can be the driving point for anyone. It’s also a great way to boost interest, as it can snazzy up any program headline or message used in your referral program. The user will always want to know the benefit of sharing. Because regardless of how much they actually like your business, if there is no immediate need to share, such as a friend specifically asking for recommendations about your business type, the chances of you being shared might not be there. But, you can boost the ‘want’ to share by using a reward to incentivize word of mouth to occur. By doing so, you’re also giving users a reason to spend their social currency, because in this case, it will pay off for them. Any good referral or rewards program software can help you distribute and choose rewards, so rewarding word of mouth can be easy. Like any other marketing promotion, your referral program needs to be promoted and fed into marketing channels. Promotion doesn’t just mean making your program visible on your homepage. Anywhere you interact with customers can be a great touch point for referral program promotion. So if you want to proactively engage users, here are some ways you can ask for referrals and increase your word of mouth. This should be obvious. You communicate with your customers, partners, and employees through email – regularly. Which means, this is a great platform to ‘ask for a referral’. You can implement the ask as a fun image at the bottom of every email, or you can ask for a referral and promote your program with a dedicated email. There are truly so many ways to spin it. Check out how JustFab promotes their refer program in every email, by adding a link at the bottom. A simple way of asking, that actually works! One of the most powerful channels of promotion is social media. Social media provides you with such an easy way to communicate with your audience. And promoting in the places where your users already are, just makes sense. Between direct messaging, commenting, and posting updates, you have multiple ways to reach your audience. Plus, if the information about your program is already on your social sites, you’re making it that much easier for people to join and share. Social media can also be a great way for you to increase your social proof, meaning people will have a much easier time spending their social currency on you. As with all good marketing, making processes repeatable is key to creating a good experience for users. It’s easy to create new resources, the real effort is making everything consistent. This is because your brand image and tone is strongest when it’s consistent across all channels. The same rules apply to your referral program. Your referral marketing can’t be hodgepodged together and sent out into the world all willy-nilly. It’s more of an art, and just like other campaigns, relies on communication cadence. You need to think of the right time to promote your program and ask for a referral. There is a general timeline for asking for referrals and it usually falls in line with certain actions. For example, you probably wouldn’t ask a customer to share your business with their friends if they reach out to you in frustration. You would only ask for this type of favor when they are happy, but not ‘just met you’ happy either. This type of ask takes a little nurturing. Software is a great option for helping you automate the referral process and create repeatably (though totally not required). To make your channels consistent and repeatable on all fronts, automation and software are the way to go. Not only can you automate the entire referral process, you can automate your referral program to trigger at certain points in your sales process and marketing campaigns. Software is the easiest way for you to create a consistent look and feel for users. You can set reminders, create easy sharing options (further promoting word of mouth to happen), and you can even automate reward fulfillment. Making the entire process easy and repeatable. There are many good referral marketing software options on the market, so be sure to check some out and see what fits your needs. After everything is all set up, all you have left to do is track and measure its success. This will allow you to see where in the process you need to approve. Before you start any marketing or advertising campaign you probably set your baseline. This is because before you try to measure your growth, you need to understand where you are, currently. The same should go for tracking your word of mouth. Your baseline may include tracking converted leads, web traffic, incoming phones, or another very specific variable. In doing this you will probably also establish what your goals will be so that you can put a campaign into motion. This will also be a great base for you to track and test changes. Plus, it can give you insight on what you should be asking your users. Listening to feedback and testing changes may be exactly what you need to determine your ‘perfect’ campaign. Go back to step 2, once a year and see what’s changed. You may find that your ideal customer has shifted, or that your old incentives aren’t working quite like they used to at getting people to refer. Don’t worry there are tools for this too! Databox, for example, is great for connecting all your data sources so that you can track your performance. Kickstarting your word of mouth can be made simple, but that doesn’t mean it’s going to be easy-peasy either. The 6 steps discussed above, along with your knowledge and product is the baseline for becoming referable. Want more word of mouth marketing examples?